Haloorganic compounds have many uses, such as pharmaceutical agents, fibers, building materials, agricultural chemicals, solvents, and cleaning agents. Many of these compounds are inexpensive to manufacture and are used in large quantities. Many were manufactured and deliberately distributed in the environment as pesticides to control plant and insect pests. Some were allowed to be released in the environment because their long-term toxicity and environmental hazards were not understood. Yet others reached the environment because they are volatile or because they were discarded in open dumps and landfills. The scope of the environmental problems associated with the extensive use of slowly degrading haloorganics has been known for many years, and steps have been taken to remedy some of these problems. The environmental stability of some of these compounds is high, and the manufacture of the more stable compounds has been banned in the United States and some other countries. The toxicity and environmental problems associated with some of these compounds are appreciable. Examples include chlorofluorocarbons, polychlorinated biphenyls (PCBs), and organochlorine pesticides. We begin the chapter with a discussion of the reactivity of haloorganics under environmental conditions. The chemistry and environmental problems due to several types of haloorganic, which are now or have been an environmental problem, are considered. It is not possible to discuss every type of commercial haloorganic, but the goal is to provide sufficient breadth of coverage to permit the reader (1) to estimate the relative reactivity of these and other haloorganics under environmental conditions, (2) to understand the scope of their effect on the environment, and (3) to understand how these environmental problems are currently being addressed. Because many chloroorganics are pesticides, the chapter includes a discussion of general pesticides and other methods of pest control. There are many environmental processes that may cause the degradation of haloorganic and other organic compounds. These processes may result in their being converted to nontoxic substances or in some instances more toxic compounds. These processes include the following. • Hydrolysis with water. Water reacts with the functional groups attached to a hydrocarbon backbone such as chloro groups, esters, and other derivatives of carboxylic and phosphoric acids. Often the hydrolysis of these functional groups makes the organic part of the molecule more soluble in water, hence more amenable to degradation by microorganisms. Water hydrolysis is one of the more important environmental reactions because most organics eventually end up in solution or in the sediments of rivers, lakes, and/or oceans. • Reaction on mineral surfaces. Many organics bind to the surfaces of minerals in sediments or to the organic material that is bound to a mineral surface (Section 12.1). Some of these minerals catalyze the decomposition of substituted organics. For example, sedimentary clay minerals catalyze the hydrolysis of some chloroorganics. Others bind the organic compounds preventing them from migrating in the environment. • Photolysis. The photochemical reaction of organics occurs mainly with volatile organic compounds, but it is occasionally important for solids as well, especially if they are used in agriculture. These pesticides and herbicides are sprayed on the surfaces of plants, where some may be degraded by solar radiation. In addition to degradation by direct photolysis, volatile organics may be decomposed by the radicals produced by the photolysis of other atmospheric gases. • Oxidation by molecular oxygen. Unsaturated compounds are usually the most susceptible to oxidation by molecular oxygen. Sometimes the oxygen is activated by UV light to the singlet excited state, in which it is more reactive than triplet ground state oxygen (Section 5.2.2). • Microbial degradation. The metabolic machinery of microorganisms is the most powerful environmental force for the degradation of organics. Microorganisms are sometimes able to break down compounds, that are not normally present in the environment into compounds that are part of the natural biosphere. Such a transformation results in the conversion of a pollutant to a nonpollutant: the solution of an environmental problem. Compounds that are readily degraded by microorganisms are not generally an environmental concern unless their degradation results in abnormally high levels of organic material. It is rare for the environmental processes described in the first four items just listed to result in the conversion of a nonbiodegradable compound to one that is part of the natural biosphere. Rather, these nonbiological processes convert a nonbiodegradable compound to one that is susceptible to degradation by microorganisms (fifth process). Organochlorine derivatives are prepared industrially by the direct chlorination of hydrocarbons. The mechanism of this reaction is discussed in many elementary chemistry texts, so it is only briefly outlined here. It is a free-radical process initiated by atomic chlorine generated by light or heat (reaction 8-2). The reaction proceeds via the stable allylic free radical formed by hydrogen abstraction with a chlorine atom (8-7). This radical reacts further with Cl2 to give allyl chloride (8-8), that in turn adds Cl2 to yield 1,2,3-trichloropropane (8-9). Elimination of HCl from 1,2,3-trichloropropane yields 1,3-dichloropropene. An 87% yield of approximately equal amounts of the cis and trans isomers of 1,3-dichoropropene is obtained in this reaction, along with a 12% yield of 3,3-dichloropropene (8-10). The degree and position of halogenation of hydrocarbons depends on the ease of hydrogen abstraction (or stability of the corresponding radical) at each carbon atom and the reaction conditions, such as the ratio of chlorine to hydrocarbon. More vigorous conditions are required to chlorinate aromatic compounds than aliphatic compounds. The aromatic chlorination reaction proceeds by an ionic pathway. For example, polychlorinated biphenyls are prepared from biphenyl by direct chlorination using ferric chloride as a catalyst (8-11). The mechanism involves the initial formation of a chloronium ion [reaction (8-12) ] that undergoes an electrophilic addition to the aromatic ring system as illustrated in reaction (8-13) with benzene. The aliphatic organochlorine compounds are generally more reactive than the corresponding aromatic derivatives. Two limiting reaction pathways (displacement and elimination) are observed for aliphatic chloro derivatives in the presence of nucleophilic reagents. Displacement may proceed by unimolecular (sn1) [reactions (8-14) and (8-15)] or bimolecular (sn2) [reaction (8-16)] reaction pathways. 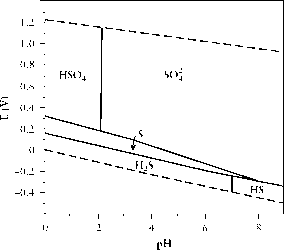 The rate-limiting step of the sn1 reaction is ionization of the alkyl halide to the planar carbocation (8-14), while the rate of the sn2 reaction is proportional to the concentrations of both alkyl halide and nucleophile (8-16). 1R. A. Larson and Eric J. Weber, Reaction Mechanisms in Environmental Organic Chemistry, Chapter 5, pp. 275-358. CRC Press, Boca Raton, FL, 1994. The mechanism of the displacement reaction is determined by the solvent, the displacing agent, and the structure of the chloroorganic molecule. The SnI (carbocation) mechanism is favored by polar solvents that stabilize the ionic intermediates or when the displacing agent is a poor nucleophile such as water. Carbon compounds with sterically hindered halogens resistant to direct (Sn2) displacement or containing tertiary, allylic, and benzylic halogens (which ionize to stabilized carbocations) usually react by an Sn1 pathway. The ease of ionization of a carbon-halogen bond increases in the order F < Cl < Br < I. This trend reflects the decreasing strength of the carbonhalogen bond (Table 8-1). The C—F bond is so strong that ionization is never observed under environmental conditions; hence carbon-fluorine bonds present in fluorocarbons are not cleaved in the environment. Two limiting reaction mechanisms are available for the elimination reaction: a unimolecular (E1) pathway [reactions (8-14) and (8-17)] and a bimolecular (E2) pathway [reaction (8-18)]. The extent of olefin or alcohol formation is determined by steric effects at the carbocation and the stability of the olefinic product. The factors that favor the Sn1 reaction also favor E1 elimination because the same carbocation intermediate is involved (8-14). The relative proportion of elimination to displacement is determined by the relative nucleophilicity and basicity of the group attacking the carbocation. Source: Adapted from R. T. Morrison and P. N. Boyd, Organic Chemistry, 6th ed. Prentice Hall, Englewood Cliffs, NJ, 1992.
in water because its solvation of ions and high dielectric constant stabilizes the ionic intermediates. Thus SnI and El reactions are usually observed. Nucleophilic displacement of aryl and vinyl halides is a very slow process that does not occur readily under environmental conditions. The SN1 or E1 reactions are not observed because the sp2 hybrid carbon atom of the aryl or vinyl halide is more electronegative than the sp3 hybrid and cannot stabilize a positive charge and become a carbocation. Furthermore, the lone pairs of electrons on the chlorine participate in the bonding and strengthen the bond as shown in the following resonance structures.